Today during the Intel Developer Forum (IDF) opening keynote, Intel CEO Brian Krzanich introduced Intel® Joule™, a sophisticated maker board with an Intel® RealSense™ depth-sensing camera targeted at Internet of Things (IoT) developers, entrepreneurs and established enterprises. Intel Joule will be featured in the upcoming season of America’s Greatest Makers. Intel Joule enables people to take a concept into a prototype and then into production at a fraction of the time and development cost. The Intel Joule platform is a high performance system-on-module (SOM) in a tiny, low-power package thus making it ideal for computer vision, robotics, drones, industrial IoT, VR, AR, micro-servers and other applications that require high-end edge computing. Intel Joule is available in two models – 570x and 550x. 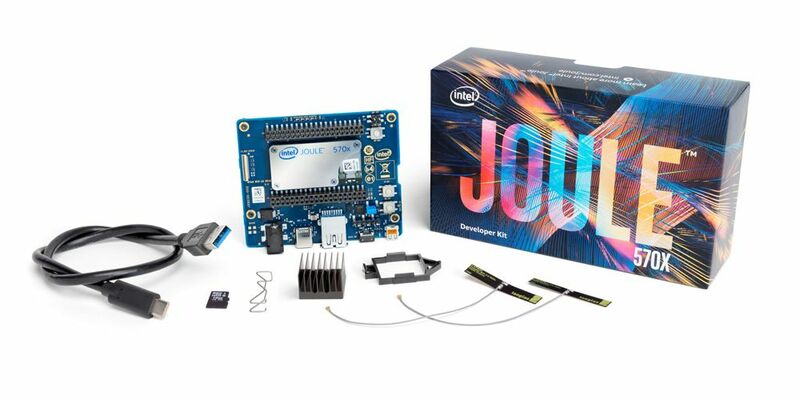 The Intel Joule 570x developer kit is available for sale at the 2016 Intel Developer Conference in San Francisco, and will begin shipping in September through Intel reseller partners. For more on the technical specifications of Intel Joule or to learn more about the Intel partner demos on display at IDF, visit the Intel Joule fact sheet.